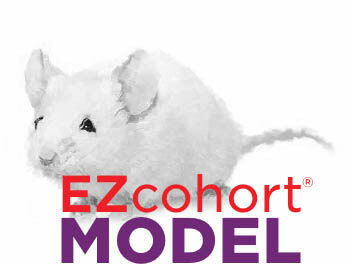 This model carries a replacement of seven full-length mouse Cyp3a genes (Cyp3a11, Cyp3a16, Cyp3a25, Cyp3a41, Cyp3a44, Cyp3a57, Cyp3a59) with approximately 125 kb of genomic human DNA comprising CYP3A4 and CYP3A7. CYP3A4 is the most abundant hepatic and intestinal CYP in humans and catalyzes the metabolism of more than 50% of drugs in clinical use. Useful to study human-specific CYP3A4 metabolites and to assess the relevance of CYP3A4 for drug-drug interaction. This model may be used in combination with a Cyp3a knockout model (8841) in order to determine the contribution of CYP3A4-mediated drug metabolism. The Humanized CYP3A4/3A7 Mouse model was developed by Taconic in collaboration with CXR Biosciences. The model was created by four consecutive rounds of transfection in C57BL/6NTac-derived ES cells. First, mouse exon 1 and 2 of Cyp3a57 was replaced with a hygromycin cassette containing a loxP, lox5171 and frt site through gene targeting. Second, a neomycin cassette with a loxP and f3 site was inserted into intron 4 of the Cyp3a59 gene through gene targeting. Third, transfection of the ES cells with cre recombinase resulted in the deletion of the Cyp3a57, Cyp3a16, Cyp3a41, Cyp3a44, Cyp3a11, Cyp3a25 and Cyp3a59 genes. Fourth, a modified human bacterial artificial chromosome carrying CYP3A4 and CYP3A7 was inserted by cre-mediated recombination into the loxP and lox5171 sites in the mouse Cyp3a locus. The targeted ES cells were injected into BALB/cJBomTac blastocysts and the resultant chimeras were backcrossed to a Flpe deleter strain on C57BL/6J to eliminate selection markers. Taconic received stock in 2008, and the line was embryo transfer derived. The colony was maintained by mating homozygotes. Hasegawa M, Kapelyukh Y, Tahara H, Seibler J, Rode A, Krueger S, Lee DN, Wolf CR, Scheer N (2011). Quantitative prediction of human pregnane X receptor and cytochrome P450 3A4 mediated drug-drug interaction in a novel multiple humanized mouse line. Mol Pharmacol 80(3):518-528.